A Tory government at the heart of yet another lobbying scandal. Last month’s led to the resignation of Liam Fox. This one leads to David Cameron himself. This is reminiscent of the old Tory days of sleaze. A Conservative government at the heart of yet another lobbying scandal. Last month’s led to the resignation of the defence secretary. This one leads to the prime minister himself. One of the lobbyists caught by today’s investigation by the Independent / Bureau of Investigative Journalism, Tim Collins, is the chief lobbyist at Bell Pottinger Public Affairs. “I’ve been working with people like Steve Hilton, David Cameron, George Osborne, for 20 years-plus. Edward Llewellyn, who’s the prime minister’s chief of staff, was my deputy in Central Office for a long time. In a speech before last year’s election, David Cameron attacked “secret corporate lobbying”. We all know how it works now. In government, Cameron’s hostility to lobbyists appears to have evaporated, along with his commitment to “shine the light of transparency on lobbying in our country”. • In recent months we have learnt it is “completely commonplace” for Whitehall departments to contact corporate lobbyists about government business using text messages as a way to avoid disclosure under the Freedom of Information Act. • We’ve seen the “systematic use of private e-mails” (£) by education secretary Michael Gove for the same reason. • Local government secretary, Eric Pickles, kept hidden a dinner with lobbyists (the same firm, Bell Pottinger, incidentally) and businesses with an interest in his department, because he claims to have attended in a ‘private’ and not a ‘ministerial’ capacity. • A week before the publication of the government’s radical changes to the planning system, planning minister Bob Neill enjoyed an informal drink on the lawns of Westminster Abbey with Tesco’s chief lobbyist Lucy Neville-Rolf, as Left Foot Forward revealed. • Meanwhile, there are the very private relationships between members of the Cabinet and lobbyists: former defence secretary Liam Fox’s friendship with lobbyist Adam Werritty led to his resignation. • Last month, the partner of energy secretary Chris Huhne was caught hawking her services (£) to lobbying firms on the strength of her “excellent contacts… from Cabinet members to more junior ministers”. • The health secretary Andrew Lansley’s wife runs a lobbying firm that boasts clients in the drug and food business, and advices on establishing “positive relationships with decision-makers”. Nick Clegg, who is ultimately responsible for the lobbying register’s introduction as head of the Cabinet Office, will not take a position on the policy because his wife is a lobbyist. We were reminded last month of the prime minister’s relationship with his neighbour and close ally Lord Chadlington, thanks to a deal they had struck over a plot of land and a garage. Like Lord Bell, Lord Chadlington owns and runs a vast communications group that includes three lobbying firms, whose clients include HSBC, Tesco and the City of London Corporation. Employees include lobbyists George Bridges, who is Cameron’s former campaign director and a good friend of the chancellor George Osborne; and Malcolm Morton, an ex-adviser to the Cabinet Office minister in charge of regulating lobbyists, Mark Harper. “I believe that it is increasingly clear that lobbying in this country is getting out of control,” said David Cameron in opposition. The situation under his leadership is undoubtedly worse. And yet, there is no sign of the only measure capable of revealing such behind-the-scenes lobbying – a statutory register of lobbyists, as I outlined on these pages in March last year. It’s time his government ignored the private protests of the influence industry – whether Conservative peers, former colleagues, friends, neighbours, or wives – and listened to public demands for transparency. The longer he delays the greater the smell. I don’t think this is a party issue – Tory, Labour, Lib-Dem, they’re all doing it (and if they’re not, they would do given the chance). It’s just that when you’re in opposition you don’t have so much to offer and it’s easy to criticise. It’s just seen by politicians as a legitimate additional income, like expenses. 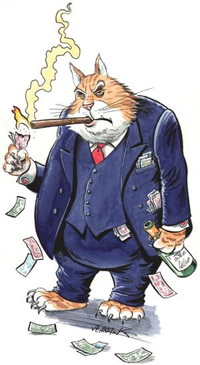 It could be curtailed to an extent by bringing in legislation that stops the revolving door with Corporates that allows MP’s to become consultants – in fact we need to legislate that any earnings politicians get, when in office or after they leave (including money from talks or books – are you reading this Gordon brown?) should be given back to the country, or at least a major percentage of it. After all, we expect students to pay back loans so it’s only fair that additional revenue received as a result of our investment in MP’s should be paid back. But as this would require a degree of integrity from the lawmakers themselves it won’t happen any time soon. Meanwhile over at Guido’s site he has been running this story together with a similarly embarrassing lobbying scndal for Labour/Andy Burnham.